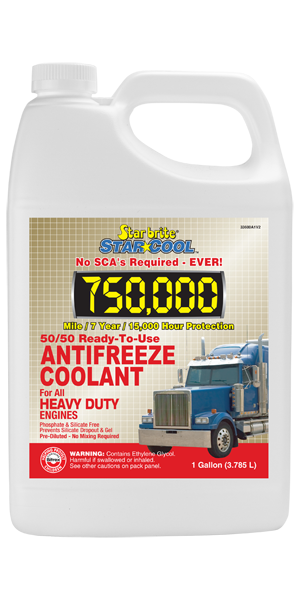 NEW state-of-the-art proprietary Poly Organic Acid Technology (POAT) provides cooling system protection for 750,000 miles/7 years/12,500 hours of service life. Excellent for complete coolant system refills or for topping off existing fills. Compatible with all conventional antifreezes and orange DEX-COOL™. Protects cast iron, aluminum, steel, brass, copper and solder.